Sean Combs launched his new music channel, Revolt, Monday, promising what MTV famously abandoned long ago: actual serious music programming. And I’m surprised to say — only because I don’t tend to be drawn to most of Diddy/Puffy/etc.’s endeavors — that it sounds great to me. I adore serious-music-channel Palladia, particularly the stripped-down, music-geek-tastic Live from Daryl’s House, on which Daryl Hall and his band collaborate with house guests ranging from Smokey Robinson to K.T. Tunstall to Fall Out Boy’s Patrick Stump. And I’m always into more outlets for serious pop culture news. I’m rooting for you, Diddy. Ha! 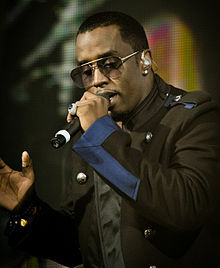 You’re more up on your Diddy/Puffy/Sean than I am!